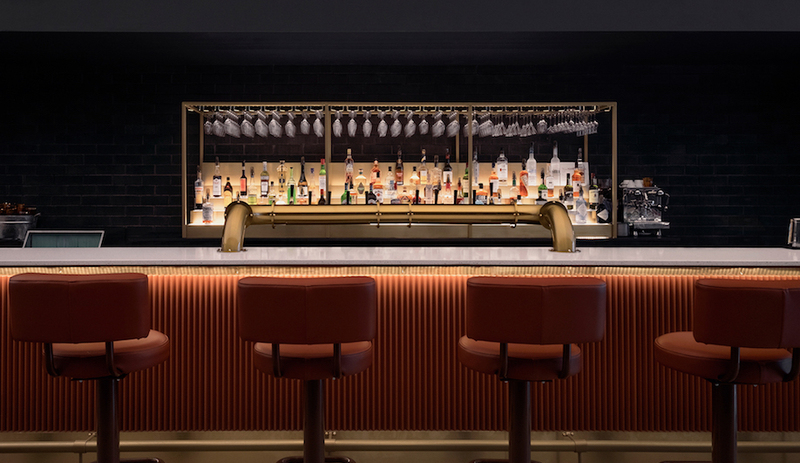 The revamp of the Four Seasons Hotel’s watering hole was overseen by Dialog’s Alison McNeil, who designed the original bar seven years ago. The maxim that you don’t fix what ain’t broke doesn’t apply to hotel bars apparently: From the bar and restaurant at the Bulgari Hotel in London to the famous Long Bar at Raffles in Singapore, perfectly lovely hotel watering holes have been undergoing major redesigns of late, all the better to inject a little freshness into much-loved spaces and to attract a new league of tipplers. 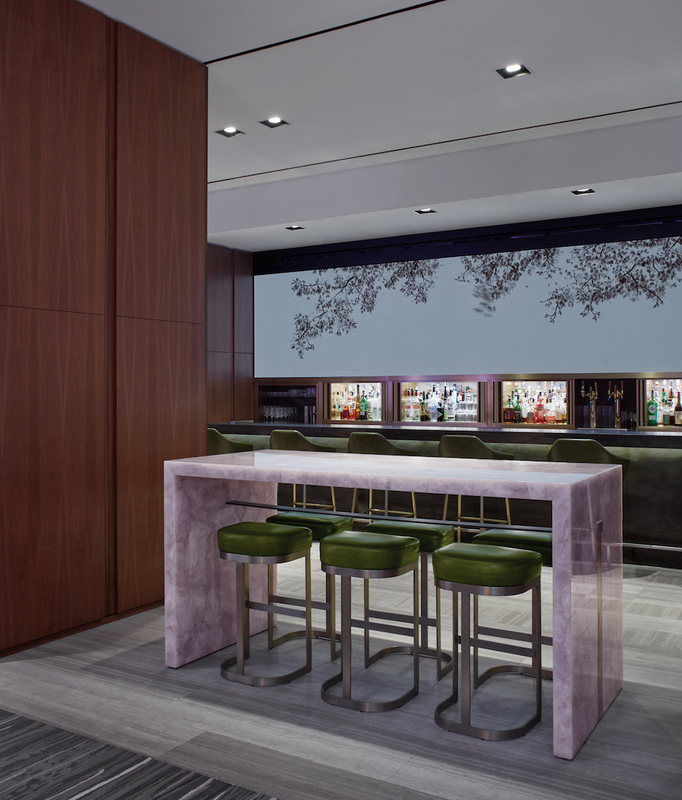 In Toronto, the trend continues at the city’s Four Seasons Hotel, where an invigoration of the lobby and popular d|bar was completed not long ago by designer Alison McNeil. 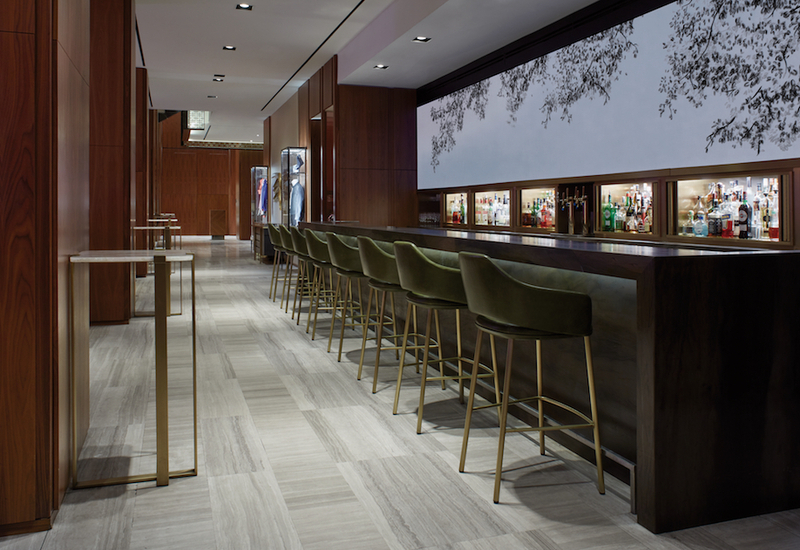 McNeil was a design director at Yabu Pushelberg when she worked on the look of the original lobby bar in 2012, the year that the 30-storey hotel opened in its new Yorkville location. 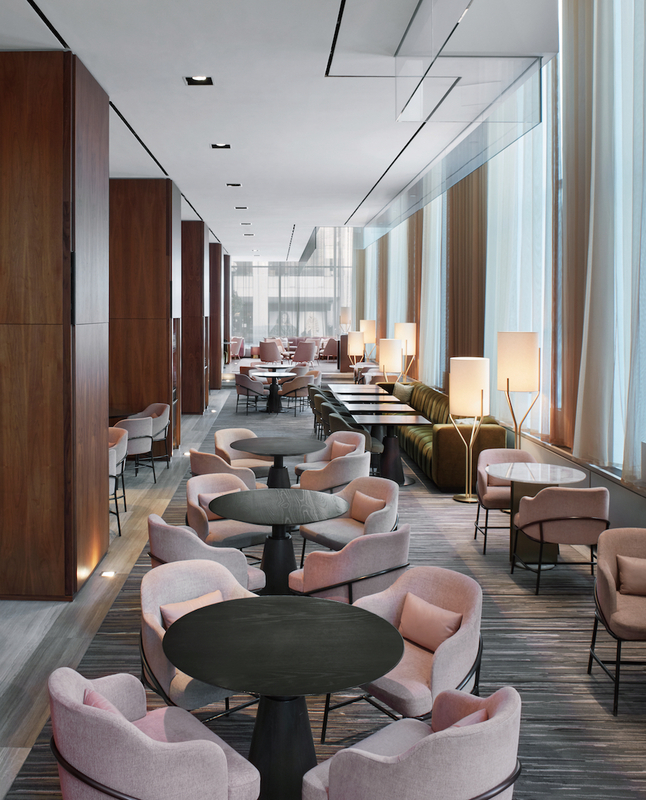 McNeil is now a principal at Dialog, for whom she oversaw the new design, an elegant tweaking that pays homage to hospitality legend Isadore Sharp, the founder of Four Seasons. 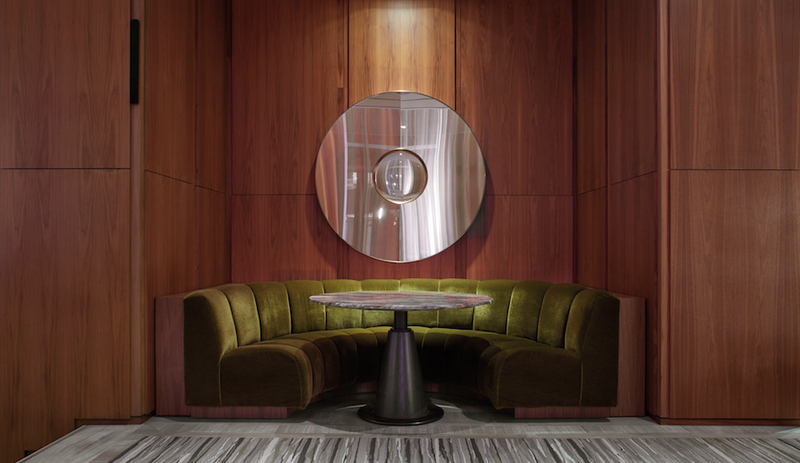 “You can’t tell the story of Four Seasons Hotel Toronto without telling the story of Mr. Sharp himself,” says McNeil, who did so by injecting the revived spaces with an updated take on 1960s modernism. The tribute is most apparent in a discreet nook called Sharp’s Corner. 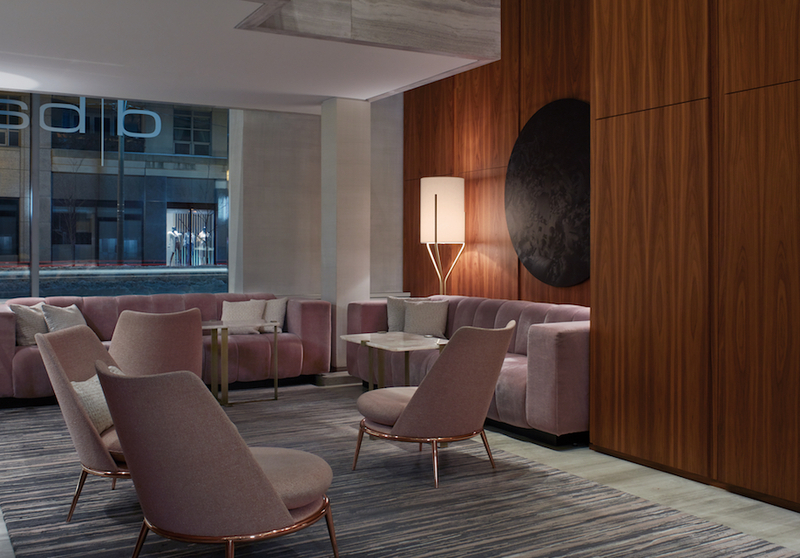 Located beneath the lobby stairs, it’s adorned with images of Sharp’s early career and affords guests a relaxed and private space for conversation. 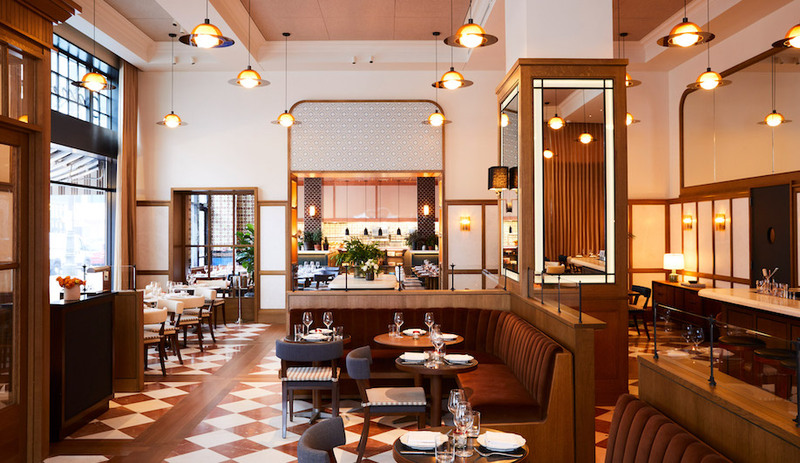 Overall, the redesign follows a symmetrical plan, with a logical progression from reception and lobby to lounge and bar. This clear path, defined by a pullback of the carpeted flooring, addressed a challenge in the previous lobby, where guests were often invading quiet conversation zones by cutting through the space. The new design creates clearly defined zones for privacy and socialization, with charging stations discreetly incorporated into custom designed millwork. The centre of the new space is defined by a large hanging sculpture by ceramic artist Alissa Coe. Palette-wise, the new colour scheme is an earthy yet sophisticated array including olive, blush, natural grey and brass: favourite tones, the hotel says, of new owner Shahid Khan, the Pakistani-American billionaire who also counts the National Football League’s Jacksonville Jaguars and English Premier League’s Fulham F.C. among his holdings. This palette is carried through the custom-made furniture and fixtures, some of which have been crafted locally in Ontario. 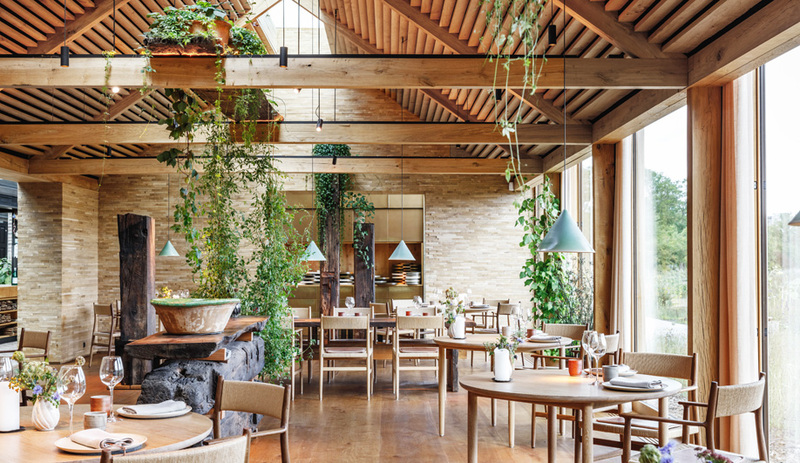 Olive furniture positioned at the bar’s core contrasts with blush glass between the alcoves, while custom light fixtures mimic fluttering dragonflies. 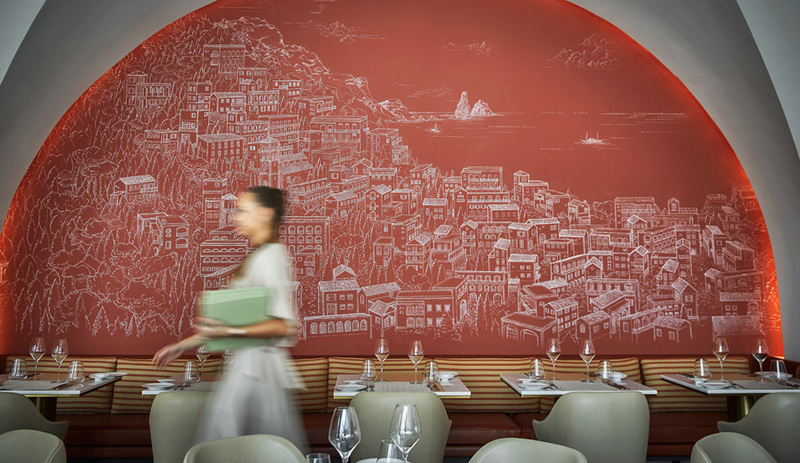 Behind the bar, a large art installation displays visuals by Toronto studio Moss & Lam. It can also be programmed to feature commissioned pieces by other artists and even to broadcast important sports events.